Invited speakers: Cesare Alippi, Albert Bifet, Włodzisław Duch, João Gama, Janusz Kacprzyk, Nikola Kasabov, Tomasz Kopacz, Rudolf Kruse, Witold Pedrycz, Roman Slowinski, Ryszard Tadeusiewicz and Ivan Zelinka. or access the online version at http://link.springer.com/openurl.asp?genre=issue&issn=0302-9743&volume=9692 and http://link.springer.com/openurl.asp?genre=issue&issn=0302-9743&volume=9693. Invited speakers: Swagatam Das, Wlodzislaw Duch, Erol Gelenbe, Zdzislaw Kowalczuk and Michal Czubenko, Roman Slowinski, Thomas Villmann and Xin Yao. 14th Int. Conference "Artificial Intelligence and Soft Computing"
ICAISC2016 proceedings are available online as LNAI 9119 and LNAI 9120. Invited speakers: Ewa Dudek-Dyduch, Eyke Hüllermeier, Adrian Horzyk, Tomasz Kopacz (Microsoft), James Tin-Yau KWOK, Krystian Mikolajczyk , Andrzej Obuchowicz and Witold Pedrycz. 13th Int. Conference "Artificial Intelligence and Soft Computing"
ICAISC2014 proceedings are available online as LNAI 8467 and LNAI 8468 . 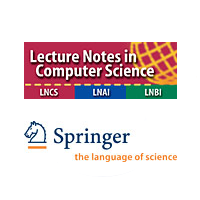 You can find information about it at http://www.springer.com/978-3-319-07172-5, http://www.springer.com/978-3-319-07175-6 or access the online version at http://link.springer.com/openurl.asp?genre=issue&issn=0302-9743&volume=8467, http://link.springer.com/openurl.asp?genre=issue&issn=0302-9743&volume=8468. Invited speakers: Hojjat Adeli, Rafal Angryk, Hisao Ishibuchi, Adam Krzyzak, Derong Liu, Henning Müller, Witold Pedrycz, Boris Stilman, Ah-Hwee Tan and Gary Yen. 12th Int. Conference "Artificial Intelligence and Soft Computing"
11th Int. Conference "Artificial Intelligence and Soft Computing"
10th Int. Conference "Artificial Intelligence and Soft Computing"
9th Int. Conference "Artificial Intelligence and Soft Computing"
8th Int. Conference "Artificial Intelligence and Soft Computing"
7th Int. Conference "Artificial Intelligence and Soft Computing"
6th Int. Conference "Neural Networks and Soft Computing"
V Conference "Neural Networks and Soft Computing"
IV Conference "Neural Networks and Their Applications"
III Conference "Neural Networks and Their Applications"
II Conference "Neural Networks and Their Applications"
I Conference "Neural Networks and Their Applications"